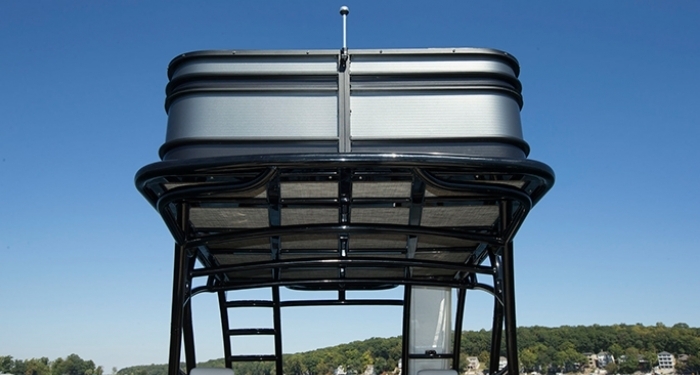 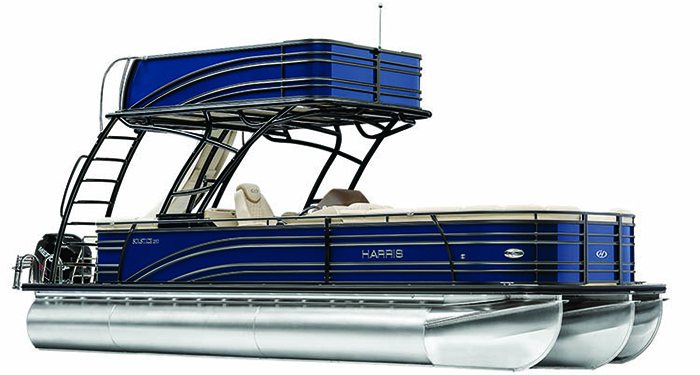 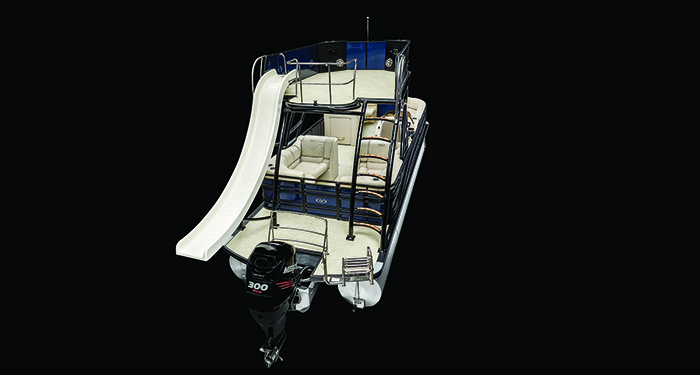 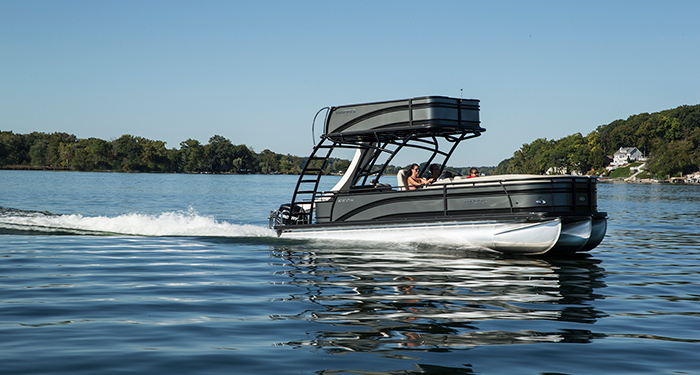 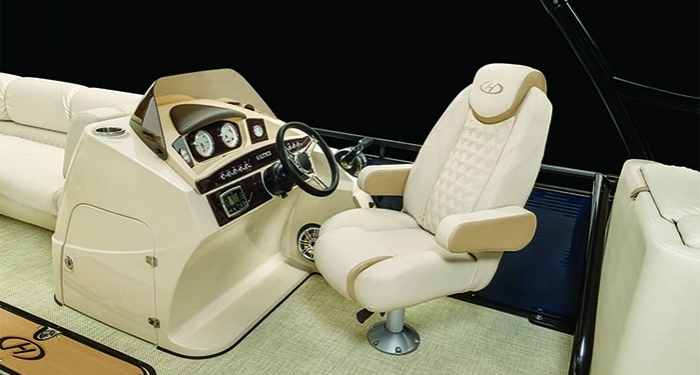 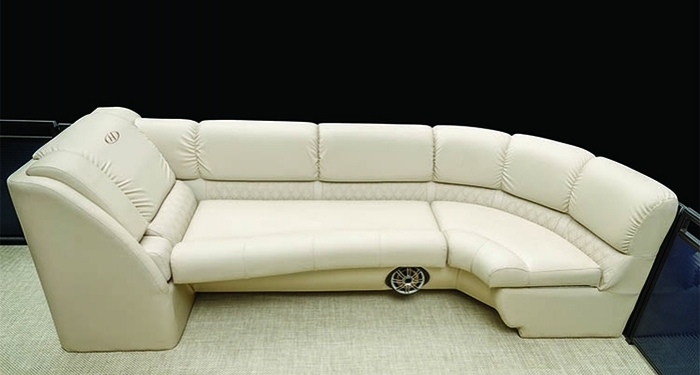 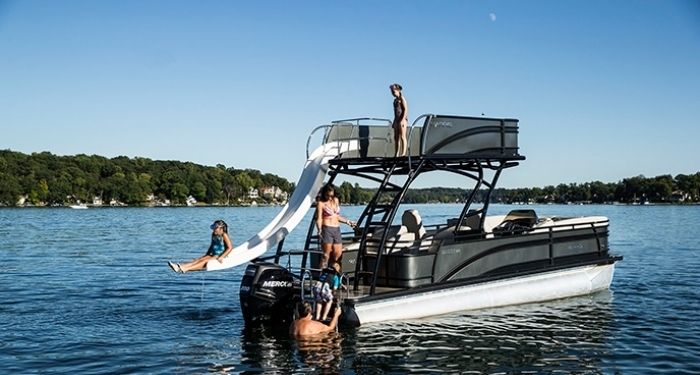 Brand new to the Harris model lineup is the Solstice RD 260, a modern take on the “double-decker” style pontoon boat. 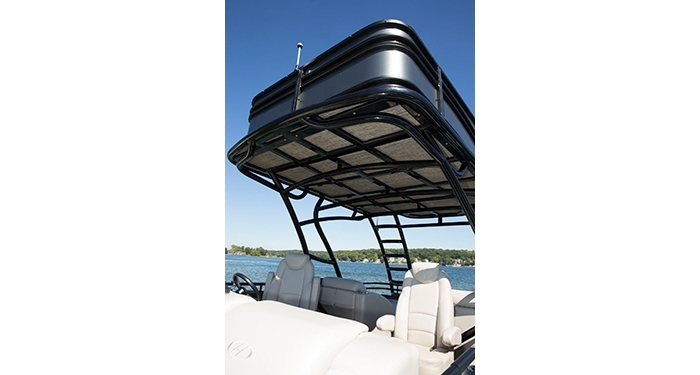 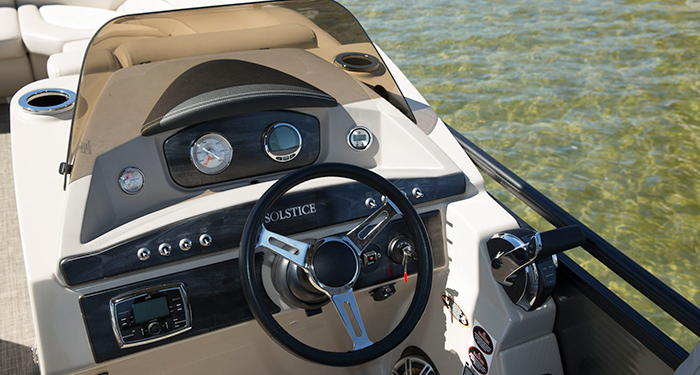 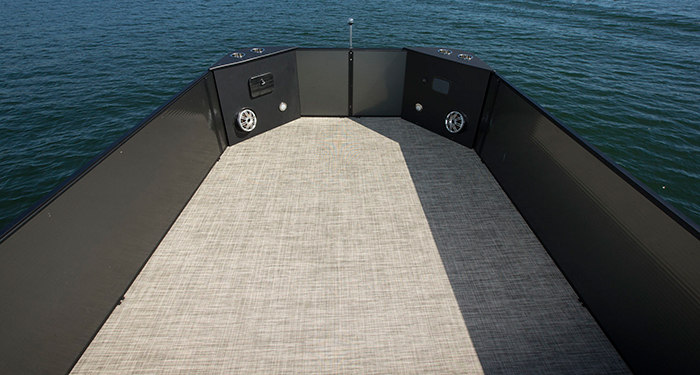 For starters, the Solstice RD 260 maintains the standard beam width of 8 feet 6 inches so it will fit in a standard boat slip. 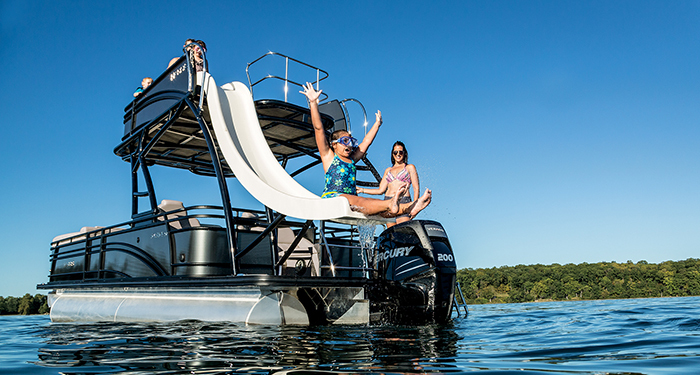 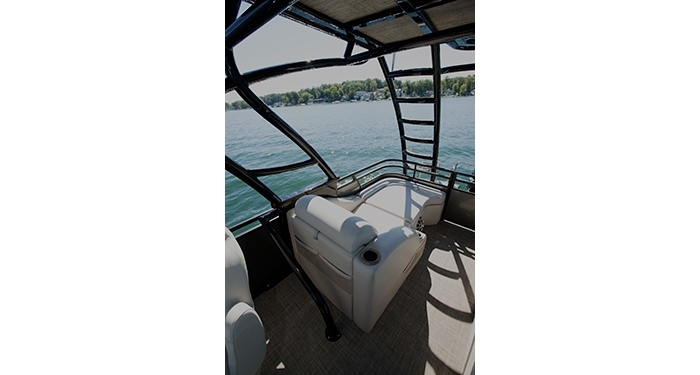 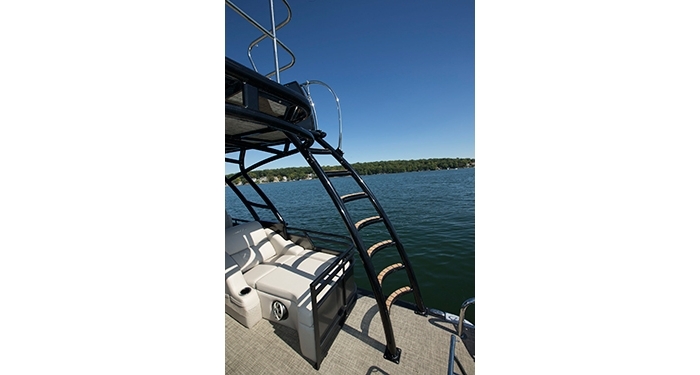 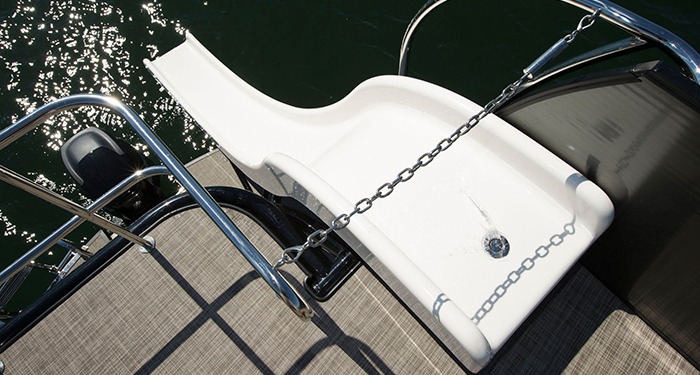 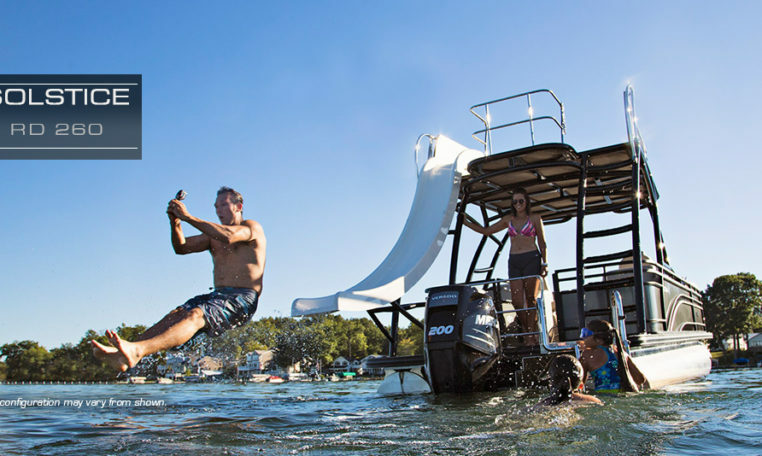 The fibreglass slide is designed to keep users away from the engine and extends outward for safer entry into the water. 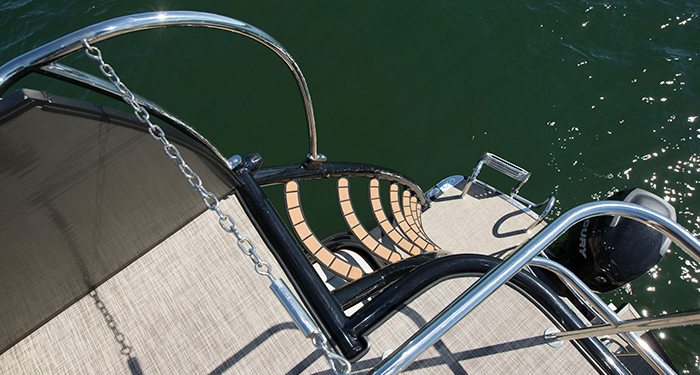 EVA foam pads the rungs of the ladder, providing soft and sure-footed access to the top deck. 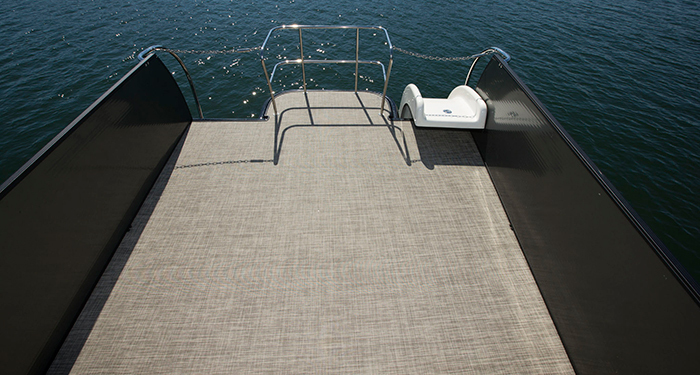 The sun deck can be a great place to catch some rays while listening to your favourite tunes via two upper-speakers and additional stereo controls. 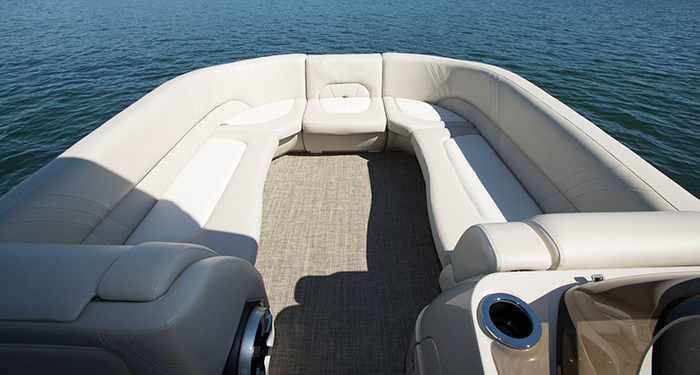 Two of our most popular floor plans are available on the Solstice RD 260: the CWDH centre walkthrough with dual helm seats and the DLDH dual rear-facing loungers with dual helm seats. 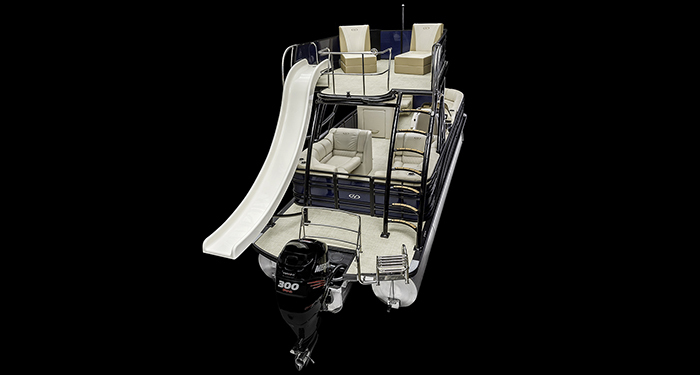 Even with the taller profile of the RD 260 it has a very stable ride, and carefully engineered weight distribution. 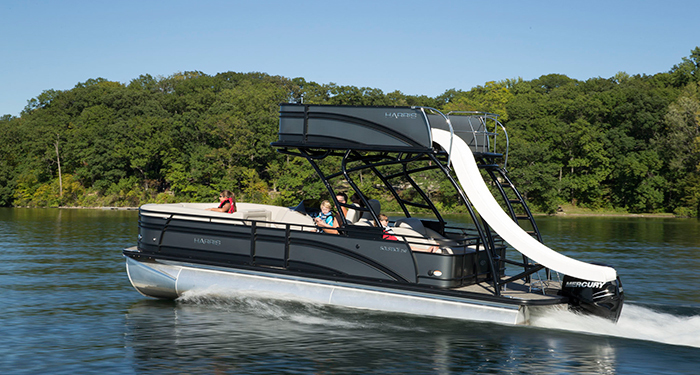 Get ready for endless days of fun sliding down the slide and letting the sun dry your skin on the Solstice RD 260.